We have been contacted by a college who wanted a mascot give some identity to their sports teams. In this case they wanted a pose for a musical group. 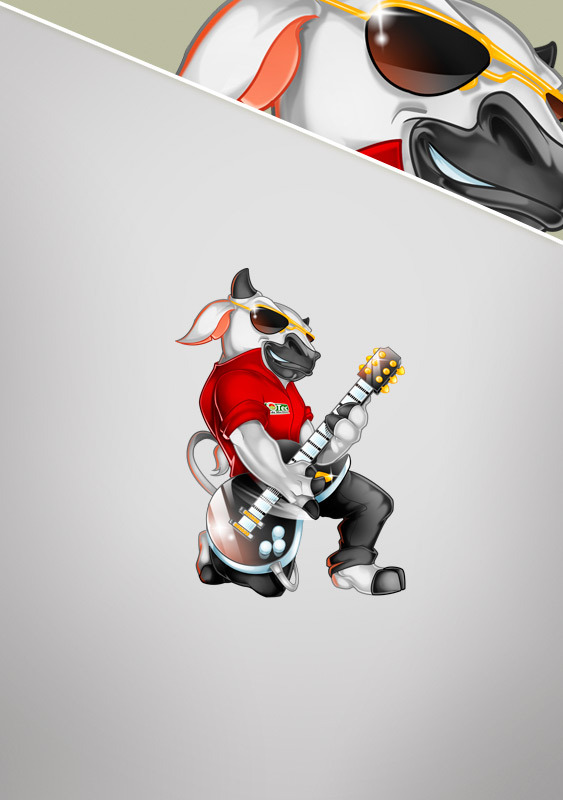 Avoltha came up with the bull playing guitar in a stylish manner.